'Thanks so much,' I said, looking away. He wasn't the first person to tell me that." Have you read New Moon yet? It's the second book in the Twilight Saga by Stephenie Meyer. I read the whole series and it was a good experience; it touched me in a lot of ways... But I just kept hoping for better. More eloquent writing. Prose that would stick with me and paint a better picture. It was, alas, a Young Readers series. I shouldn't have expected so much. Like Senses Fail. I keep trying to like them. I don't know what it is. They make use of the double bass pedal. They scream a little but not too much. They layer their guitars. But Senses Fail just refuses to grab me and either rock my face off or move me with really strong lyrics. Their lyrics are better than many others. Better than most that get airplay, that's for sure. And the sound has gotten better over the last few years. Maybe I just expect more. They don't sound better than most bands that have been formed this decade. They're definitely not better than Four Year Strong. "Life Is Not A Waiting Room" is the fourth album put out by this quartet lead by Buddy Nielsen, who is actually the son of some of my mom's favorite soap stars. Remember Iva Snyder from As The World Turns? I digress. 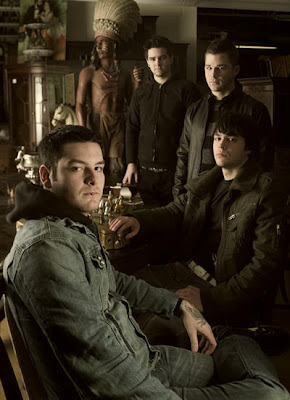 The songs Senses Fail has recorded over the years have always been inspired by deep writings and works of art, and even their name comes from a eastern spiritual beliefs. But they just don't go far enough with it. If I was writing their report card I would say "you need to apply yourself more." Just because it's not pop-punk about a girl who left you doesn't mean you can't get deeper than you already are. You can do it. where have they been? I love Senses Fail but last I saw them was with NFG probably like 1+ year ago. anyway...check out Thursday at the taste of chaos (tasteofchaos.com) if you like senses fail. they're pretty good.